← Can Ideas from Psychology Help Convince Homeowners to Invest in Energy Efficiency? What Are The Best Ways For Big Coastal Cities In Asia To Protect Themselves Against Flooding? Managing the impacts of climate change is no longer a concern of the future, but a significant reality of the present – especially for coastal megacities in Asia where flood management is a pressing concern. In order for big coastal cities in Asia to better protect themselves against floods, Shoko Takemoto argues that it is important to closely examine how cities are already managing climate vulnerability and change, what factors shape their approach, and how climate change adaptation can fit within their actions and perceptions towards future planning. 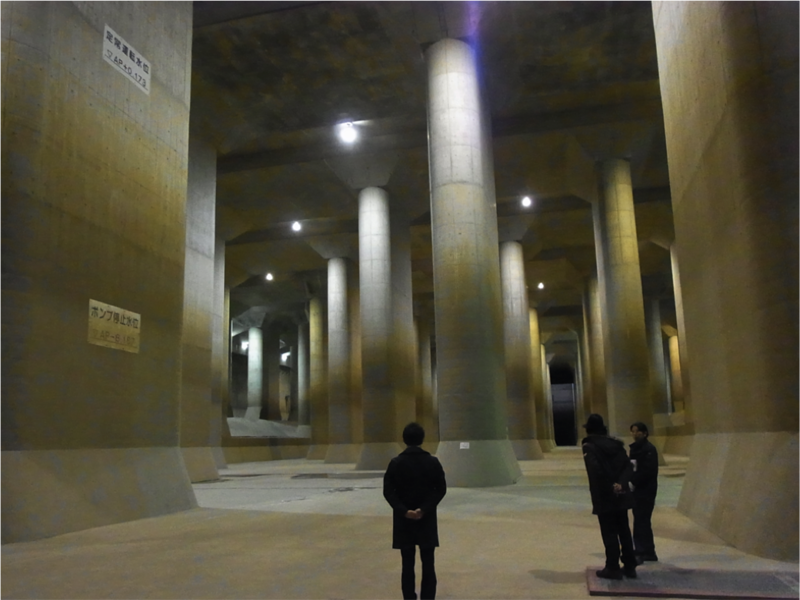 Given the recent Great East Japan Earthquake and other natural disasters, asking the question of what cities are adapting to, and why they are adapting could be the necessary first steps for enabling cities to become climate-smart. Takemoto examines how two coastal megacities, Bangkok and Tokyo, are currently dealing with changing climate and weather patterns, and what factors shape their responses. He finds that, despite their significant differences in socioeconomic conditions, Bangkok and Tokyo’s flood management efforts are surprisingly similar. He also finds that whether a city is developed or developing may not necessarily influence existing capacities for flood management or climate-adapted systems. 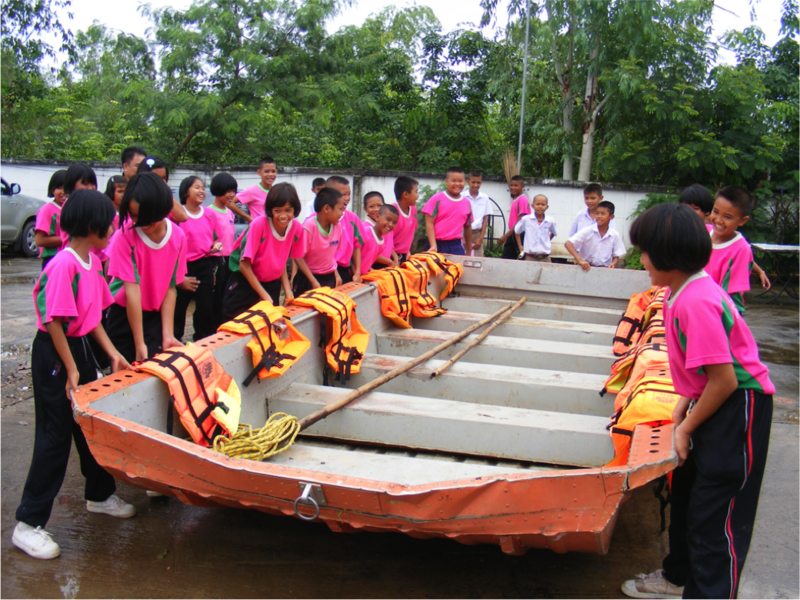 Flood response exercises with school children in Thailand. Bangkok and Tokyo do, however, have very different perceptions of their respective challenges and priorities for future flood management. In the case of Bangkok, the non-climatic issues of improving urban planning and watershed management need to be tackled simultaneously with dealing with the potential impacts of climate change. For Tokyo, because they already have established urban planning and watershed management systems, figuring out how to manage future climate risks and create a methodology to deal with uncertainty within long-term planning are the key challenges. You can learn more about this topic by reading the full thesis, “Moving Towards Climate-smart Flood Management in Bangkok and Tokyo,” written by Shoko Takemoto. Posted on April 27, 2012, in disaster management. Bookmark the permalink. 2 Comments. Shoko! This is a really interesting thesis, and a pleasure to read. You do a fantastic job of looking at both the DRR and CCA approaches, and then applying your analysis to two of the most important cities in the world, both of which have had to deal with some of the worst disasters. I will share your work with colleagues in Latin America, where this type of work is also much needed. Congrats! Maricarmen! Thank you very much for your comment. I feel like a lot has changed since writing this thesis in these two cities, especially the context and perspectives towards DRR. It would be interesting to do a follow-up work. I’m working now on DRR and CCA issues in Ghana, and with challenges of poverty and lack of basic infrastructure, I’m seeing DRR and CCA initiatives a vehicle for overall development. I would love to hear about your work in Latin America. Let’s catch up soon!